Last year, Public Policy Polling asked 1,267 Americans a series of idiotic questions about the holidays. Among them was whether or not Die Hard qualifies as a Christmas movie. Much to our nation's shame, the vast majority claimed it wasn't. 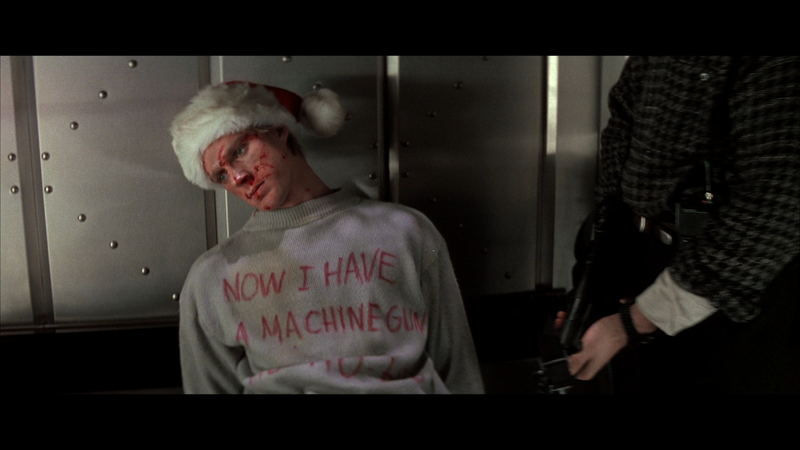 This is hardly the first time I've seen Die Hard's holiday credentials called into question. It's a pervasive idea that seems to show up at least a few times every year. Most of the time, the argument boils down to an arbitrary distinction between a Christmas movie and a movie that's incidentally set at Christmas, which is a can of worms that shouldn't be opened lightly. I mean, there's actually no reason It's A Wonderful Life has to be set at Christmas. Hell, if you move it to the states and change their names to the ghosts of Thanksgiving Past, Present, and Future, you can swap out the season of A Christmas Carol without impacting the plot or moral, if that's how low a bar you want to set. But I'm actually less interested in ripping apart the logic behind this misnomer: I'd rather break down why Die Hard is quintessentially a Christmas story. In fact, it's a variation on the oldest Christmas story. Strip the plot down, and you've got a story about a man trying to survive the night and reunite with his wife. And, in case you forgot, Christmas Eve is no ordinary night: it's one of the year's longest. That's... actually almost certainly why Die Hard is set at Christmas. Also, it's why CHRISTMAS is set at Christmas. We come together when the world is at its darkest to bring back the light. Or, you know, take out a bunch of European criminals. It's all one and the same. To put this simply, Die Hard is a Christmas movie, because it's a Solstice movie. Unlike, say, First Blood, whose holidays connections reference Christian doctrine. Confession time: To this day, I have never seen Die Hard. I know you've heard this before, but it's definitely worth checking out. Die Hard is a far better movie than its imitators.